Over twenty years ago Lila and I ventured to northern Quebec on a Brook Trout fishing trip. After having a fabulous time we returned home with great memories and an idea. We wondered if our experience and knowledge would help others planning to travel and pursue outdoor sporting adventures. That’s how it all began, with one outfitter and an idea. Along the way we’ve been very fortunate to have fished and hunted all over the world. We’ve also met many great people. As our contacts grew so did our services. Outfitters have changed but our vision of complete customer satisfaction has not. 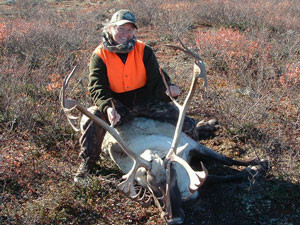 We hunt and fish at all locations to ensure quality and excellence in the outfitters we choose to promote. We sleep in the beds, eat the food, meet the guides and most importantly hunt and fish at every location we promote. Not every outfitter we screen “measures up”. Understandably, you will not find those offered in our list of services. 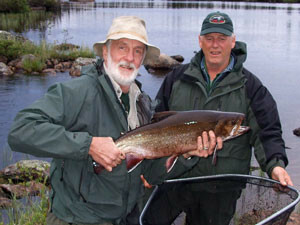 Through the years we’ve also instructed hundreds of Maine Guide candidates. Many of these folks have become very successful in the outdoor sporting industry. These success stories stand as testimony to our commitment to quality instruction and our Maine Guide School. Your patronage is very important to us, and we want you to come back to us, season after season. This is our business, something that we do full-time throughout the year. Through the years we have developed countless contacts throughout the industry. If you don’t see what you are looking for, please contact us and ask.